Ideal for Zodiac. 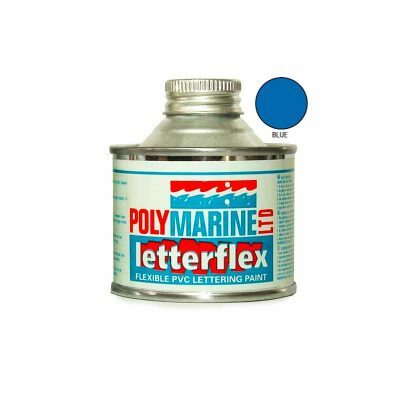 Polymarine have formulated a specialist PVC paint called Superflex for the renovation of inflatable boats made from PVC material. 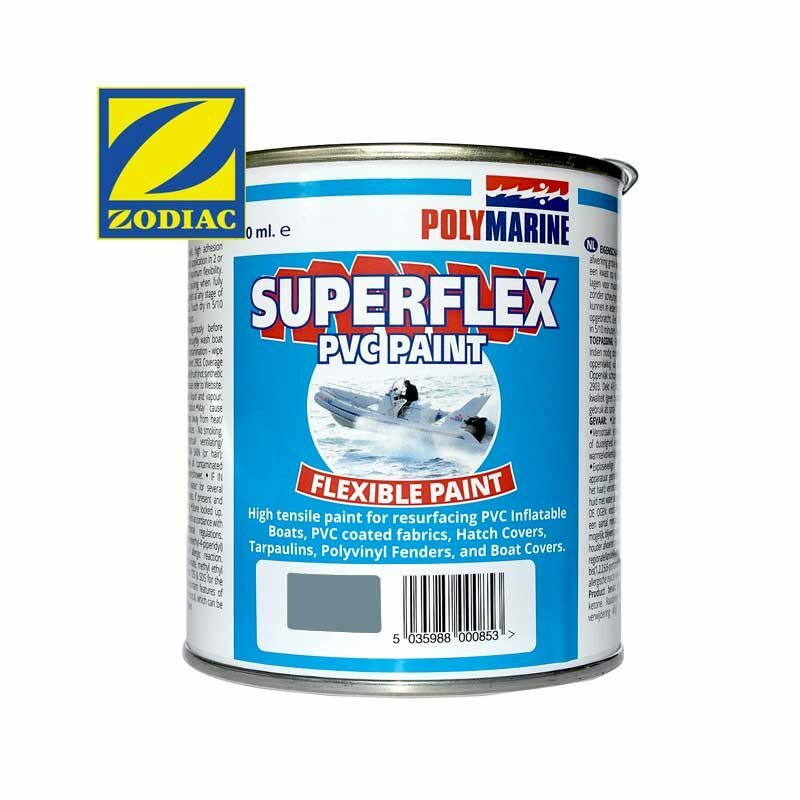 Superflex adheres in a super strong flexible bond, becoming part of the surface withstanding weathering, abrasions and retaining colours and bright whites for many years. It has a super high stretch ratio that will not crack or flake off. 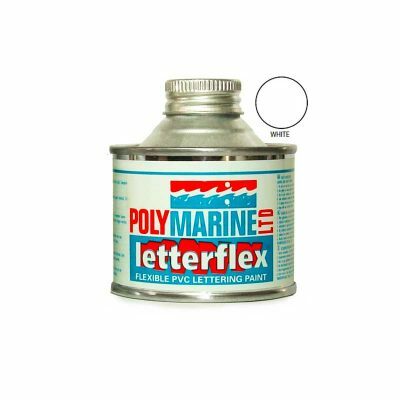 Superflex’s coating properties are highly opaque, easy to apply and quick drying. Application is one coat for good surface adhesion and a second coat for a smooth satin appearance and improved, lasting durability to UV and the elements.